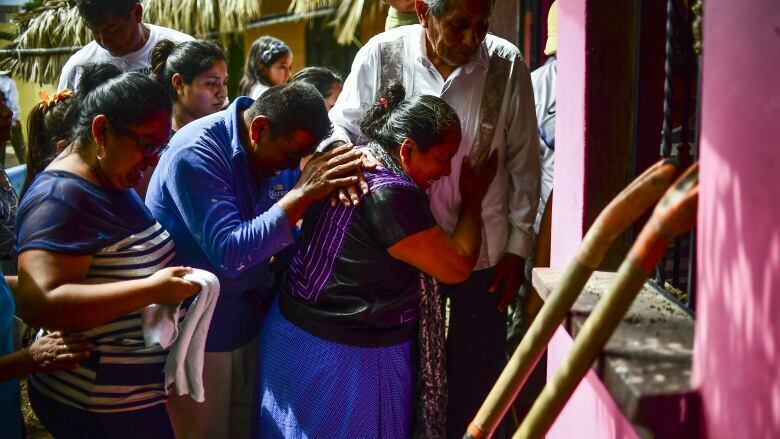 The death toll from Mexico's 8.1 magnitude earthquake rose to 96 on Monday as more fatalities were confirmed in the hard-hit southern states of Oaxaca and Chiapas. The Foreign Relations Department said 95 people had died nationwide in Thursday's quake. 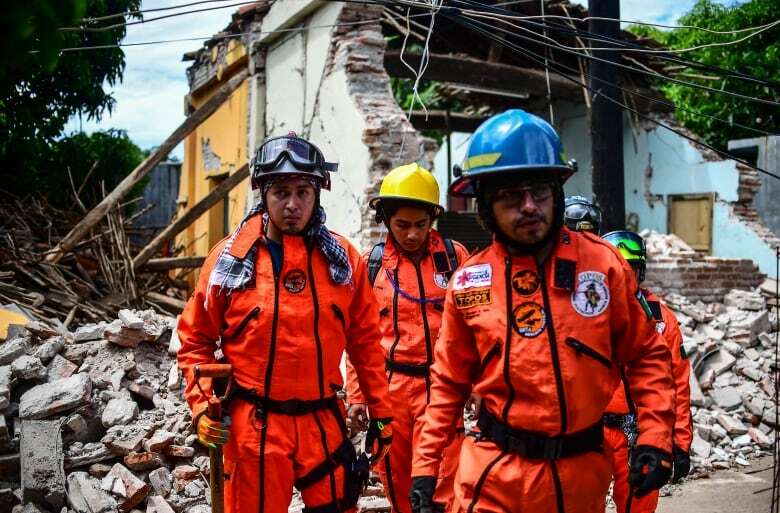 Then Chiapas state civil defence director Luis Manuel Garcia Moreno said the number of deaths there had risen to 16. Oaxaca Gov. Alejandro Murat said in a statement that the death toll in his state rose to 76, and officials have reported that four people died in the Gulf coast state of Tabasco. The Foreign Relations Department said the quake and Hurricane Katia, which struck the Gulf coast state of Veracruz on Friday, have forced Mexico to withdraw an offer of aid for Houston, which was hit by Hurricane Harvey in August. At least two deaths were blamed on Katia. The U.S. had thanked Mexico for the offer and said only logistical aid was needed. The Mexican Red Cross said 33 of its volunteers were helping out in Houston. Mexico said it would now dedicate relief efforts to its own disasters. 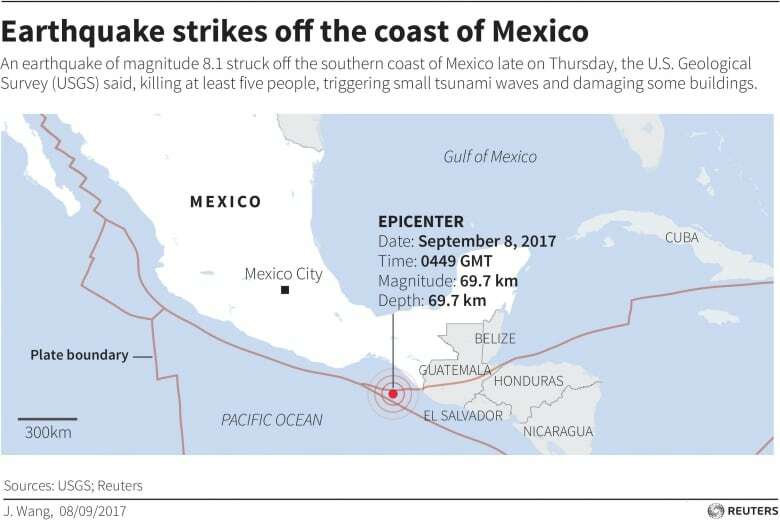 About 5,000 homes in Chiapas were destroyed by the quake, and Murat said about 11,000 homes were damaged or destroyed in Oaxaca. Teams of soldiers and federal police with shovels and sledgehammers fanned out across the southern city of Juchitan, which was hit particularly hard, to help demolish damaged buildings. Volunteers, many of them teens from religious or community groups in surrounding towns that came through in better shape, turned out in force to distribute water and clothing or lend a hand.